DermaSweep is a microdermabrasion treatment taken to the next level. It involves a special resurfacing technique that has one of a kind patent-pending bristle tips that lift away the top layer of the skin. This increases micro-circulation which enhances lymphatic drainage, oxygenation, and helps with the delivery of key skin nutrients into the deeper layers of the skin. DermaSweep stimulates cleans the pores, stimulate blood flow and leaves the skin feeling much smoother. The treatment increases collagen formation, which firms and tones the skin. DermaSweep also provides our patients with Dr Lanzer’s skincare treatment tailored for their particular needs. Following the first step of the treatment, each patient is given a specific skin infusion to further treat and improve their skin. DermaSweep SkinFusions contain cutting-edge ingredients to help many skin concerns and conditions. We also infuse Dr Lanzer’s very own DNA enzymes into the infusion pack for an added boost of hydration and collagen stimulation. This makes it an excellent Anti- Aging treatment. The procedure is pain-free and has no down time. The DermaSweep not only addresses problematic skin conditions, such as acne, congested pores, and dehydrated skin, it can also be used to preserve a healthy complexion and keep skin looking youthful. An increasingly large amount of patients now opt for DermaSweep procedures. DermaSweep SkinFusions contain cutting-edge ingredients to help many skin concerns and conditions. If you’re looking to remove fat from the face, get a free consultation at Melbourne clinic with Dr Lanzer. DermaSweep resurfaces the top most layer of dry, dead skin from the epidermis, leaving the skin feeling soft and smooth just like other forms of Microdermabrasion. However the Dermasweep uses special bristle technology which does not tear the skin. However, unlike traditional Microdermabrasion, DermaSweep doesn’t stop there. A tailored infusion is applied by our Dermal therapists to the skin to target your specific skin concerns – with ingredients such as Growth Factors, Peptides, Vitamin C, TCA, and Hyaluronic Acid and Dr Lanzer’s very own DNA enzymes! As a result of the exfoliation and increased circulation from the Dermasweep, your skin may appear pink for around 30 minutes following treatment. It may feel tighter, but there will not be any pain or discomfort due to the non-invasive nature of the procedure. 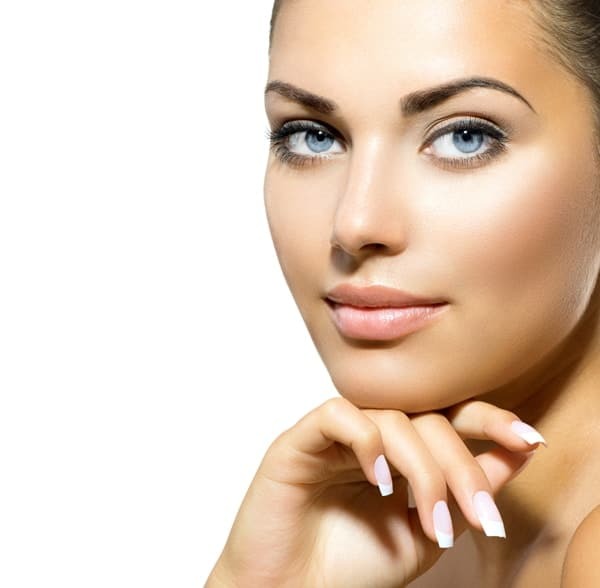 Your skin will look much more refreshed and clear after just one treatment. The cell renewal cycle of a healthy skin takes approximately 28 days. Because of this, we recommend that you come in for treatments every 4-6 weeks in order to get the best results. How Do I Take Care of My Skin Following My DermaSweep Treatment? – Avoid excess sun exposure and wear a high-quality sunscreen every day. We recommend Dr Lanzer’s very own D’Lumiere Esthetique Day Defence Moisturiser with a SPF of 15. – Avoid the use of highly active skincare products with vitamin A, AHA’s, BHA’s and exfoliating particles for 3 days. Dr Lanzer’s Vitamin C serum is fine to use. – Use post-care products as recommended by your very own dermal clinician. We use Dr Lanzer’s specially formulated skin care range in all of our facial treatments. – Do not wax, use hair removal creams, or bleach on the treatment area for 1 week.